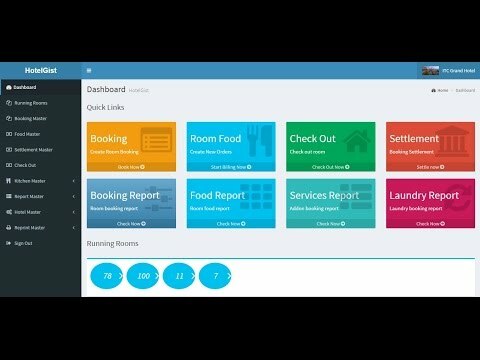 HotelGist is an innovative solution for Hotels facilitating them with effective management of point of sales (restaurant, bar, room service, housekeeping or any other outlet), inventory, and accounting the etc. The most interactive interface helps the users to operate the software with much ease and execute all the processes and administration effortlessly. With exclusive modules for every operation, the software enhances the productivity and allows the hotels to focus on the quality services. HotelGist Admin users can able to manage complete operations of Hotel front & back end operations. Running Master is a single window to managing room types, room details, booking details, check in/ checkout etc. You can also add on services such as add food, add taxi service, laundry and shift room etc. Kitchen master manages vendor details, add kitchen category, item, purchase master, stock & inventory.